Do you dress up for Halloween? 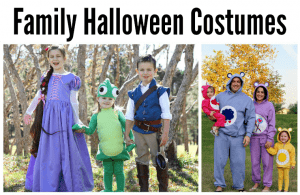 Maybe go all out with an elaborate DIY costume perfectly coordinating with your spouse? For 2 years in a row, that was me and it was awesome! But this year inspiration just hasn’t struck. 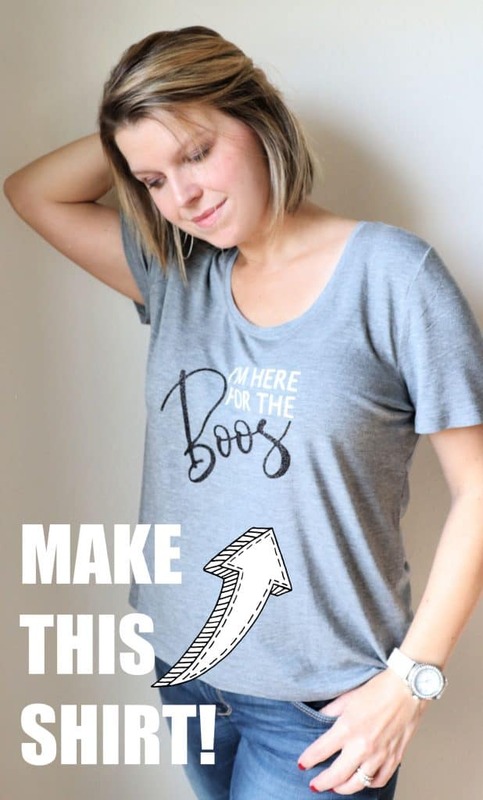 I might come up with something at the last minute and try to pull it off, but until them I am prepping for Halloween with a this easy to make shirt. 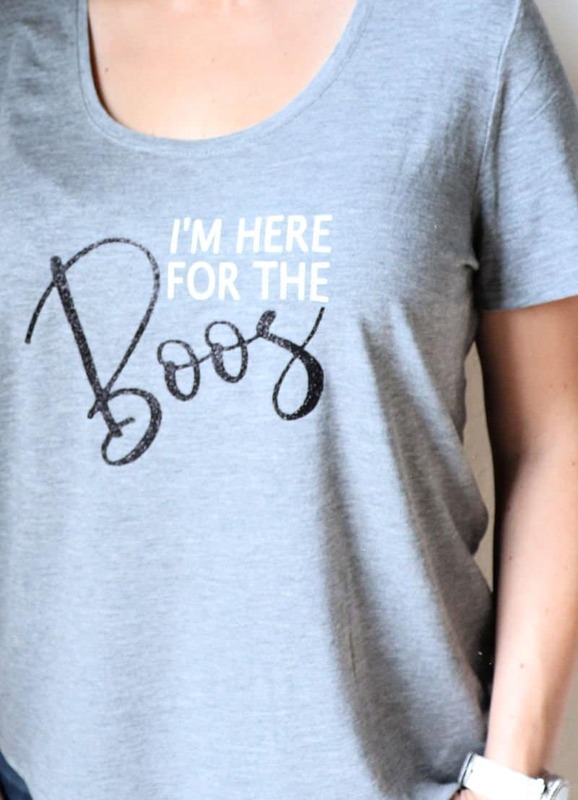 Let me show you how to be festive without a costume this year by making and sporting this I’m Here for the Boos Halloween shirt. As a Silhouette owner and lover of vinyl, making shirts is something I do often. Once you know how to design and cut graphics and words you won’t want to stop. I’m cheering on my team with this gem and will be wearing this Halloween shirt for a neighborhood party in a few weeks. Be sure to watch the video for my tips on designing your own shirt! I use dafont.com to search for and download pretty fonts. Many of them are for personal use only which prevents me from sharing the finished Silhouette file with you. In the video I show you how to download your favorite fonts and cut from heat transfer vinyl. Once you have a handle on this, you can create anything your heart desires! Once I have designed the text in my Silhouette software I cut it out, weed the excess, and use a hot iron to adhere the vinyl to my shirt. When done correctly this shirt will hold up well to many washings. 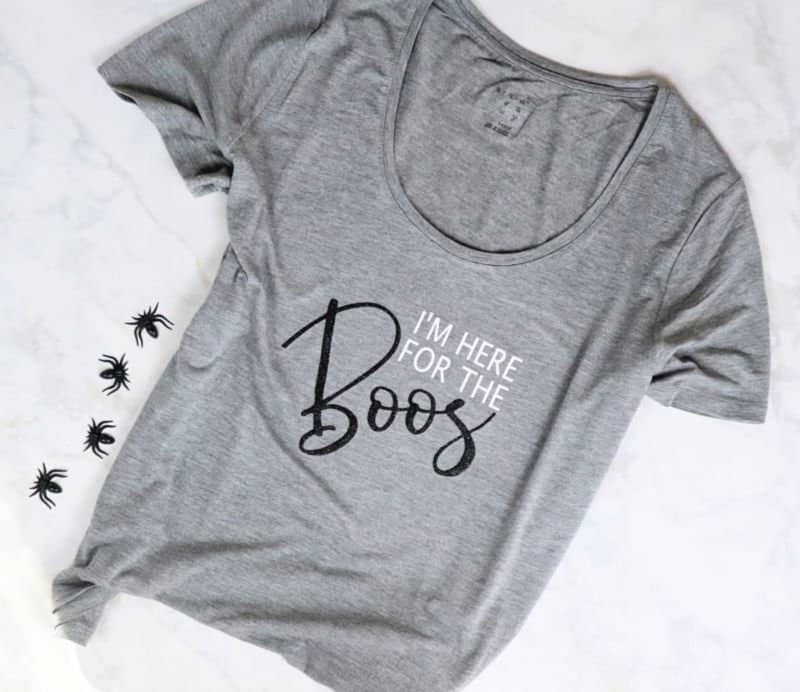 I love how simple and cute this Halloween shirt is, and that both my kids and adult friends think it’s funny. Gotta love a double meaning! If you like this Halloween shirt be sure to pin it! 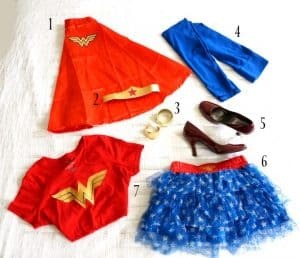 If you want a fun DIY costume idea you can’t go wrong with Wonder Woman, a favorite costume from a few years back.